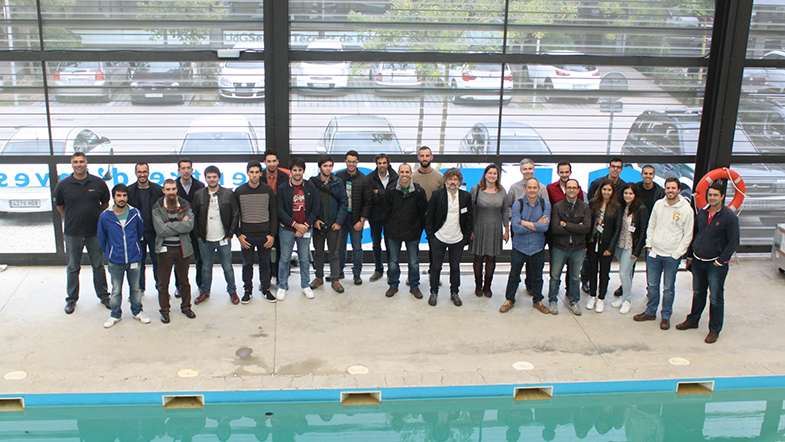 Last week, from 17 to 21st of October, took place in Girona the STRONGMAR winter school on “Underwater Vision and Robotics”. In the framework of this twinning action, EC funded, that aims to enhance the scientific and technological capacity of INESC TEC and linked institutions in research, such training activities are a key for success. Our team shared its knowledge on the topics of underwater vision and path planning. Further training is planned in the future, both in Porto and in Girona again. Around 20 students attended the event together with engineers, professors and postdoctoral fellows.